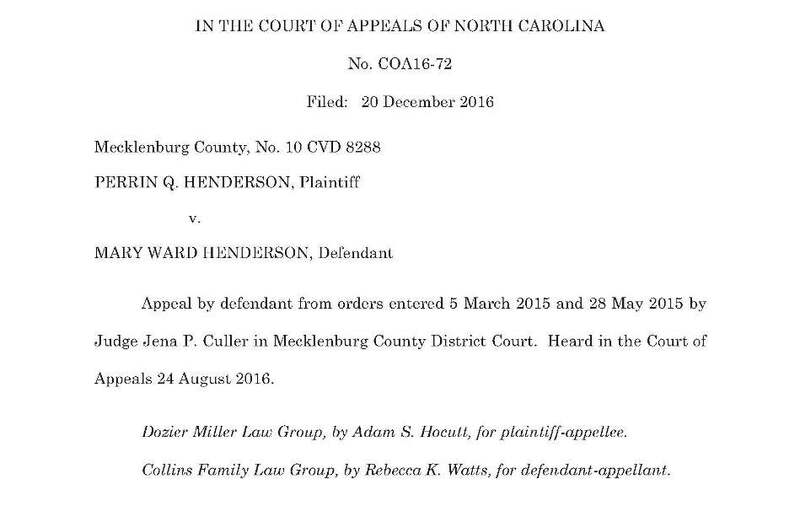 The North Carolina Court of Appeals issued an opinion today ruling in favor of a firm client after attorney Adam Hocutt drafted a detailed legal brief to the Court of Appeals, which presented many of the arguments the Court of Appeals ultimately adopted in its ruling. At issue were mortgage interest payments made after two spouses separated. Although Dozier Miller’s client made all these payments from his own personal funds, the opposing side argued the judge should divide credit for these payments between the parties. The trial court ruled in favor of Dozier Miller’s client, but the other side appealed to the Court of Appeals in Raleigh, hoping to get a different result after a second review. As a former law clerk at the North Carolina Supreme Court, attorney Adam Hocutt has extensive first-hand experience with North Carolina appeals and represents clients in a variety of appellate matters.